Investors have announced the construction of several dozen wind power plants over the past few years, but none has actually begun operating. The closest one to being finished at Trusina, Nevesinje won’t start producing power for another year. The wind blows almost constantly across the Trusina. “It keeps coming from the north, from the direction of the high Sarajevo mountains: Jahorina, Igman and Bjelašnica,“ said Zlatko Mandžuka, director of one of 17 companies that have announced they were building 34 wind power stations in Bosnia and Herzegovina (BiH). His station should open next spring. It will be the first and it like all the rest are late. Had all the announced stations actually gone up, they would now be meeting one-third of the electricity needs of the country. They also would have significantly increased the amount of clean energy firing up power in comparison to dirty energy from coal power plants still heavily relied upon. 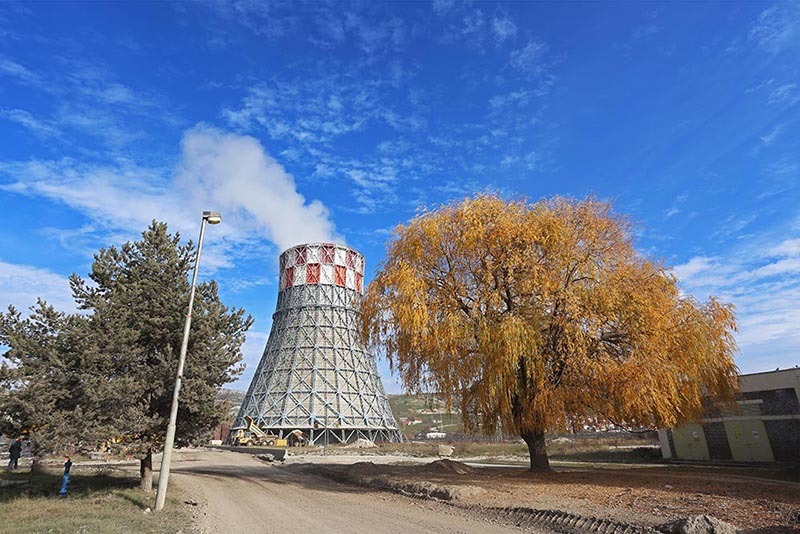 But the Center for Investigative Reporting in Sarajevo (CIN) has found that investors for more than half of the planned power plants hold no concession licenses – which are required by law before construction can begin. Those few that do have licenses are having a hard time collecting other required permits. Those are mostly small firms that develop wind power projects up to a certain point, then either sell them or try to join forces with firms that have bigger financial resources . Most have not succeeded at either. It appears that Mandžuka, director of Eol Prvi got lucky. He said that he found a strategic partner for the Trusina plant, which will comprise 17 windmills that could spin 51 megawatt (MW) of power. Investors say that with the north wind cooperating, they plant will provide electricity for 26,000 households. It is the first wind power plant to which the state power network operator Elektrodistribucija BiH and the Independent System Operator in BiH (NOSBiH) permitted to connect to the power grid. Mandžuka said that would happen next spring under a deal with the state-owned grid operator Elektroprenos BiH. Also, NOSBiH, a government agency that assures the continuity of the power supply, is counting on the electricity produced by the Trusina plant starting in 2015. Omega Plus, a Belgrade firm that Mandžuka’s daughter Mila owns incorporated Eol Prvi in Nevesinje in 2010. Two years later, the government of the Republika Srpske (RS) gave it a concession license to build a wind power station good for 30 years. It is the only firm with a concession for a wind power plant in the RS. In order to get the project going, Mandžuka gave 3 percent of the ownership in Eol Prvi to the municipality of Nevesinje. “The municipality secured us the rights to the use of the state land during the concession period, which otherwise cannot be transferred to private firms,” the director explained. He now has asked the RS government to approve a give away 90 percent of shares in the concession company to a new partner. When this happens Omega Plus will keep the remaining 7 percent share. Mandžuka said that the whole investment is worth 150 million KM, while UniCredit Bank was going to put up 70 percent of financing. Public companies have been announcing the construction of power plants for years, but there are no windmills on their sites. The Power Authority under control of Bosnian Croats (EP HZHB) announced the start of its 55 megawatt wind power plant on the Mesihovina near Tomislavgrad in 2010. 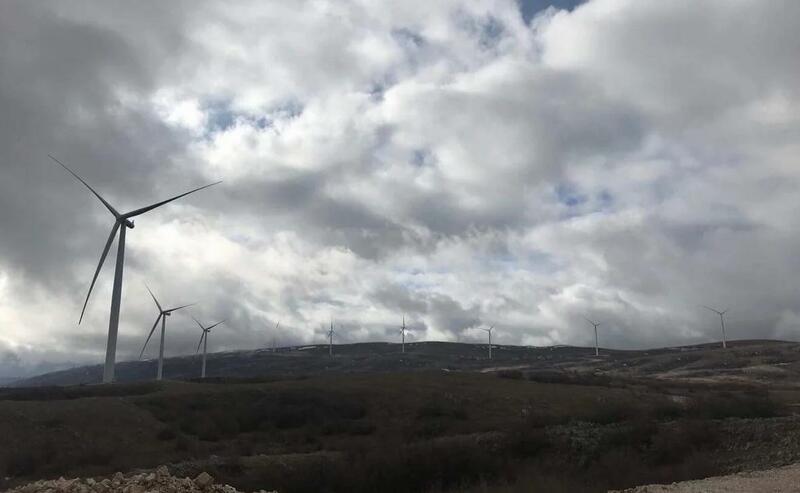 A year later, the Sarajevo-based Power Authority Elektroprivreda BiH (EPBiH) announced that it was starting the construction of a 48 megawatt wind power plant on the Podveležje near Mostar. It secured favorable loans for these projects from the German Development Bank (KfW) with state guarantees. A 138.5 million KM loan contract for Mesihovina was signed with the bank in the beginning of 2010 and a 126.8 million KM loan for Podveležje at the end of last year. EPBIH’ss Executive Director for Planning and Engineering Azra Hajro said that it was realistic to expect that Trusina, Mesihovina and Podveležje were going to be the first plants to actually produce electricity. EPBiH signed a concession contract with the government of Hercegovina Neretva Canton) in March 2011. It said that a wind power plant was going to be finished by mid- 2013. The government signed two contract annexes enabling EPBiH to stretch the construction deadline a year and half. The deadline from the last annex is at the end of this year. It will not be met . The web page for EPBIH says that construction of the wind farm in Podveležje is going to start in 2014, while the power plant should begin operation in 2015. 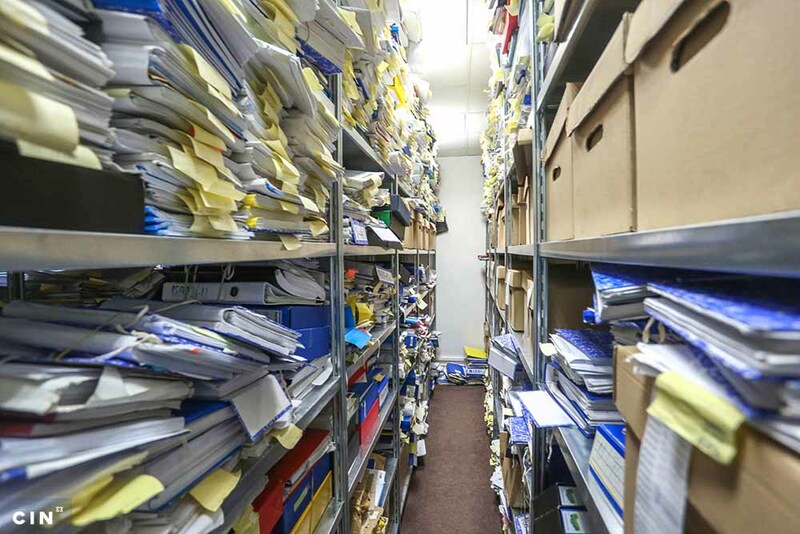 “If this is what the web site reads, than it definitely cannot happen,” said Edib Bašić, a director of the Unit for Project Implementation in this state-owned company. EPBiH management attributed delays to its decisions. It put out a bid for procurement of windmills in 2011, then had voided it before the deadline for bids was reached. Bašić said that the management made an inefficient move because all the conditions were not met to put out the call for applications. He said that the firm had neither a construction permit nor a license for connecting to the grid. Also, the procurement was to have been based on its own capital and on loans from the local banks, even though the international banks are offering much more favorable conditions. Later the firm turned to the German Development Bank KfW, but the procedure for securing a favorable loan took two years, said Bašić. He added that EPBiH was going to put out a new bid to procure wind turbines during the summer and make a final choice on producers in the fall. “We expect that the construction could start in 2015,” said Bašić, and that the power plant would becomes operational in 2016. Amer Zagorčić, the cantonal minister of industry, announced the third postponement of the deadline for the building of wind farm in Podveležje due to the change in EPBiH plans. “I don’t see what’s at issue because they will have built the wind plant,” he said. EP HZHB is also late with construction of its wind power plant. The Mesihovina Project was introduced to the public in 2006, and a concession contract with Herceg Bosnia Canton (HBŽ) was signed three years later. In 2010 the then president of the BiH Federation Borjana Krišto broke ground for the project on the windy promontory above the Duvno Meadows. Things have not moved as desired since then. CIN reporters visited Mesihovina but found no big construction and not even signs of a groundbreaking. Project manager Dalibor Marinčić said that the EPHZHB had planned to finish the building by 2013, but that circumstances were not favorable. The first bid for procurement of wind tourbines was put out in the summer of 2012, but no one responded in more than a year. When a second tender was put out – one company bid. But it closed at the end of last year, and EPHZHB is now working on selection of a supplier, said Marinčić. According to the loan agreement with the German Development Bank, EPHZHB was to start producing electricity from Mesihovina and paying back the loan by 2013. The bank has agreed to push back the loan grace period until the end of 2015. Marinčić is sure the wind power plant will have been built by then. Every year NOSBiH does a 10-year projection of electricity production and publishes a list of energy projects under construction. The wind plants near Mostar and Tomislavgrad are not even included in this document, and they have not made it into the plan and the list of resources for the state grid in the next year. That means that they cannot be connected to the grid for at least another two years. According to NOSBiH, 10 concession contracts for wind power plants construction in the FBiH have been issued. Some firms concluded the contracts with the cantonal governments as far back as 2008, yet have not started building. Herceg Bosna Canton granted the most concessions. “If we were to stick to the letter of law, we would have to break off 80 percent of the contracts,”,said Mate Šiško, deputy cantonal minister of industry. He said that would not happen “because the canton suffers no damages” for lack of construction. FBiH firms must complete a complicated procedure and collect permits and approvals from at least 13 municipal, cantonal and the FBiH agencies to put up wind power stations. 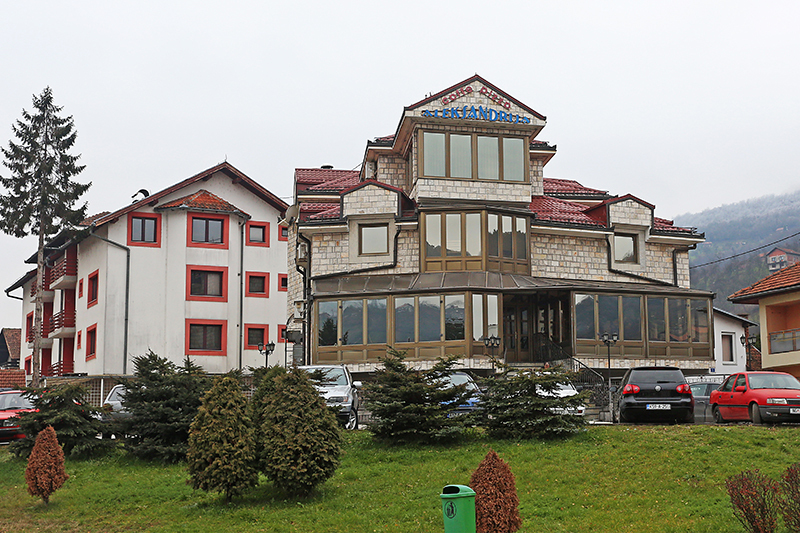 Marinčić said that for Mesihovina project they had to get 50 permits and approvals. Just to get one —a zoning approval—they had to get another 36 approvals, explained the engineer. The situation in the RS is somewhat easier. Mandžuka said that it was hard in the beginning, but once he had signed a concession agreement with the RS government, it was easier to collect the permits. It is almost impossible to make projections about how much energy will come from a wind power station. That means that regulatory bodies must insure there are steady reserves of backup electricity. The number and power of wind power plants is also limited by the capacity of transmission lines in BiH. Most of the proposed projects are located in West Herzegovina, but the transmission network is not developed enough to meet the needs of wind power plants. For this reason, the State Regulatory Commission for Electrical Energy (DERK) stipulated two years ago that the transmission cap for wind power plants until 2019 will be 350 megawatts. The two entities agreed that the FBiH gets 230 and the RS 120 megawatts of that. Then the entity ministries for energy, industry and mining made a list of the future wind power plants to be connected to the grid. Apart from those on Trusina, Mesihovina and Podveležje, those to be built are also in the areas of Tomislavgrad, Livno and Kupres. 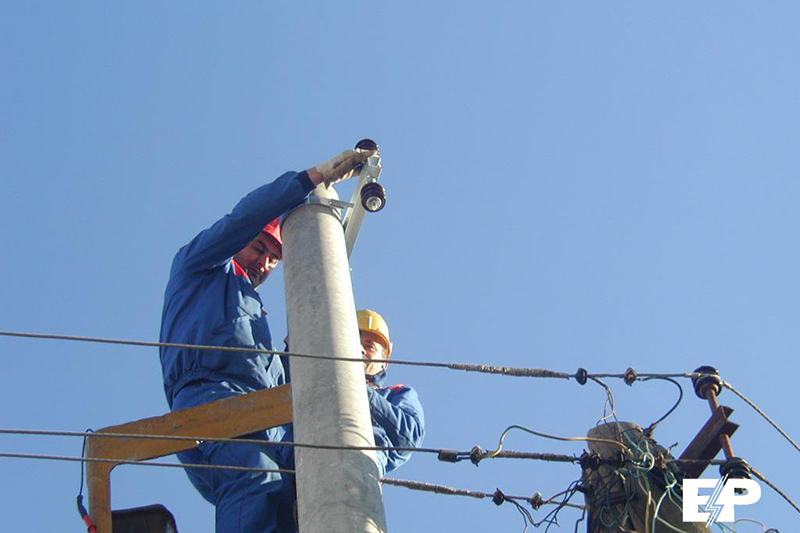 Last January, NOSBiH asked investors to send proposals on their connecting to the grid. Only Eol Prvi and EPBiH responded. Since NOSBiH did not review the latter’s proposal by the date of its publishing of its 10-year projection plan of production, the EPBiH wind power plant has not made it in its next year projection. According to the records from the entity regulatory agencies, the FBiH is supposed to buy power from wind plants at the guaranteed price of 153 KM per megawatt-hours and the RS will pay 165 KM. Local power authorities buy renewable source energy such as wind power, paying for significantly lower prices than those set by the entity regulatory agencies while citizens and other customers shoulder the remaining amount. This amounts to 50 percent in the FBiH and to 66 percent in the RS. This money is being taken from the Fund of Renewable Energy that citizens and other customers pay through fees built into into their electricity bills. Depending on which power authority they buy electricity from, citizens may contribute between 29 and 34 pfennigs a month for renewable sources. Apart from higher prices for electricity, the investment in wind power plants is more profitable in the RS due to the fact that the guaranteed purchase in the RS on those prices is to last for 15 years, whereas in the FBiH it is limited to 12 years. Experts estimate that investments in wind power plants of around 50 MW of capacity at the current guaranteed prices should pay off in between 8 to 10 years. Apart from the investors, the other actors who make money from wind power plants are the municipalities, cantons and the RS government, because they share the concession fees plus other special fees required of investors. For example, based on a concession agreement that EPBiH signed in 2011, it has donated 1 million KM to be used for community development in Podveležje. Once the plant is complete, it will continue to pay 43,200 KM year for land use and will hand over 2.5 percent of all electricity it sells to be shared by the canton and the city of Mostar. Likewise, EPHZHB is going to pay 1.5 percent of the sale of electricity on Mesihovina to the accounts of Herceg Bosnia Canton, while he municipality of Tomislavgrad will receive 1 percent. Marinčić said that this should amount to about 900,000 KM a year. Mandžuka said that the municipality of Nevesinje is going to make money two ways: on its share of profit in Eol Prvi and on the annual concession fee the firm pays. According to the contract, Eol Prvi is to pay 2.5 percent of its revenue into the RS budget. Seventy percent of this money will go to the municipality, the rest to the entity . According to Mandžuka’s calculations, Nevesinje will make between 800,000 KM and 900,000 KM a year from Trusina. That is very good for a poor municipality such as Nevesinje, said Mandžuka.